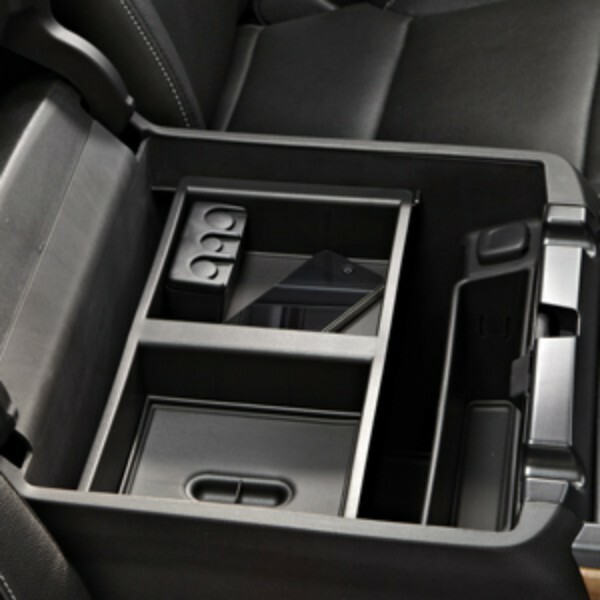 Make better use of the front center console storage bin with this removable Front Floor Console Organizer. Designed for an exact fit, this organizer transforms the tall bin into a two-tiered storage compartment. Larger items can be stored below the organizer, while smaller items, such as CDs, DVDs, cell phones, etc. can be stored in the organizer itself.